I am tentatively considering taking up the hobby of birdwatching and I have Sonto Tembe to thank. This field ranger can spot any animal in the bush, but his specialty is identifying birds. I was lucky enough to be guided by Tembe on an early morning walk recently. Only later did I learn that to birders he is a living legend. Most people would consider it an achievement to identify the (KwaZulu Natal) region’s 400 birds but Sonto Tembe can also identify each species by its call and he can imitate pretty much each call of each species – incredible! Tembe was born inside the Ndumo nature reserve in northern KZN. Ever since he was a child he has loved animals, especially birdlife. Unlike the other boys who used to shoot at birds with home-made slingshots (or catapults AKA “catties”) he always protected birds and his family’s homestead was full of nests. Tembe’s parents were small-scale farmers. All they knew about game was the need to guard their fields from the occasional rampaging hippo. Tembe wasn’t able to finish school because, like so many young Africans of his time, he had to drop out to look after his family’s cattle. This only served to further spur Tembe’s interest in birds. He began noticing the oxpeckers that sat on the cows, busily removing and eating ticks. Soon he was spending his days watching birds as well as cattle. It was his own Zulu culture that ultimately took Tembe to professional wildlife guiding. 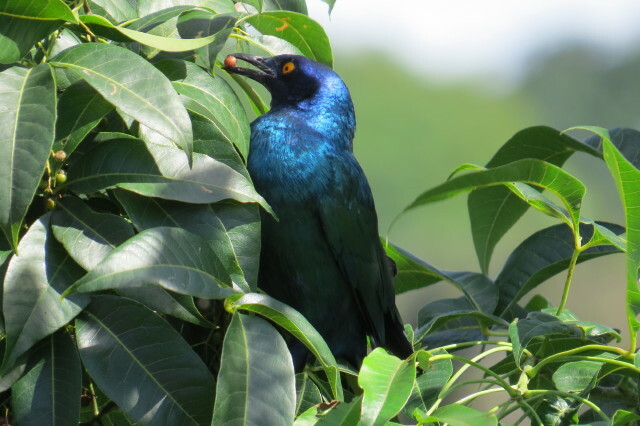 He had a job performing traditional Zulu dances for tourists when his innate talent in identifying birds was recognized. 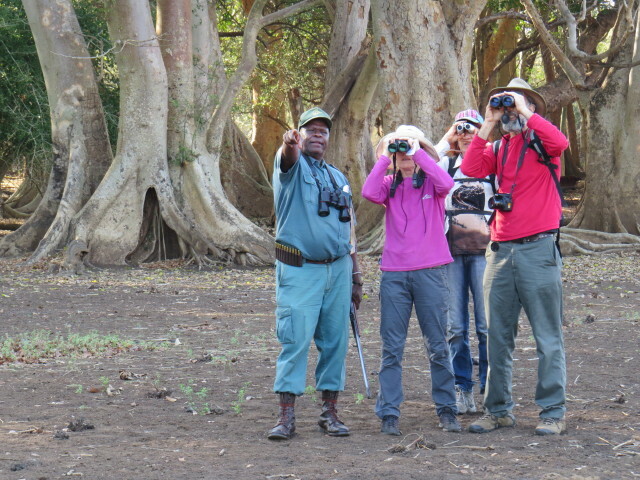 He trained as a ranger and 30 years later he has built himself an international reputation as a top guide for serious birders who travel to Ndumo from all over the world. 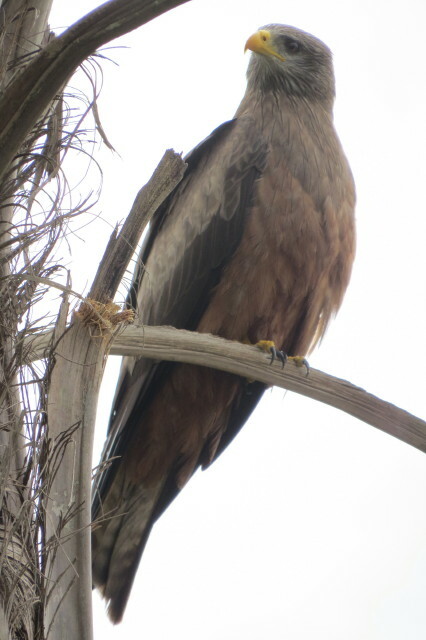 I knew next to nothing about birds and birding until Tembe opened my eyes – and my ears. He taught me a bit about how to find birds, not only by sighting them, but also by listening to their calls. Tembe is well into his 60s and planning for his retirement. He hopes to do a bit of freelance guiding after he gets his pension, and then plans to enjoy his longtime profession as a hobby into his old age. He has noticed that it is mostly older people who use his services, and advised me that it’s a great pastime to take up as I grow old. Old people really like watching birds. I know because I’m old and can do it for hours. On my old farm in Ontario I can rock on my front porch and watch the ruby throated hummingbirds come to the feeder that I fill every day… If you are not sure if you are old but are on the cusp, say 50 to 55, then you can see if you are glazing over at this point in my hummingbird tale. If you can’t take anymore and would rather shop or look at guys or girls then you are not really old. I think bird watching is an electric-kool-aid-acid test for old age. Or maybe like the hummingbird the birdwatcher is the link between the aging and the elderly. This is indeed the case, so much so that many young birding enthusiasts apparently feel pressured to hide their hobby from their peers. I personally wait until I know someone pretty well to open up about my birdwatching passion, and I still half-cringe when I’m outed… Those who don’t ‘get’ birdwatching just don’t seem to understand the hobby’s appeal to anyone, of any age. What is it about birding that makes it so attractive, despite its fuddy-duddy image? As I’ve made clear, I’m no expert – but this is what birders say about birding. It is healthy, in that it forces you off your digital devices, out of the house and into nature. It requires a bit of walking, but nothing too strenuous. It is cheap and convenient, for you need no equipment other than a pair of binoculars, and a camera if you want to snap and share your sightings. You can do it in your own garden or a nearby park. It can help you discover new green spaces in your home area. You can also do it in exotic places far away, which means you need only add the cost of your travel. What’s more, it’s a green hobby for it makes you more conscious of the environment. Alright, I’m convinced. Not enough to become a full-on Twitcher – the term for serious birders on a mission. I’m just going to try a bit of Birding Lite. I’ll find a spot to sit and look out into my garden and see what appears before me. I’m not going to use a bird ID guide and tick off the ones I spot. I certainly won’t try to compete with others as to which and how many birds I can identify. 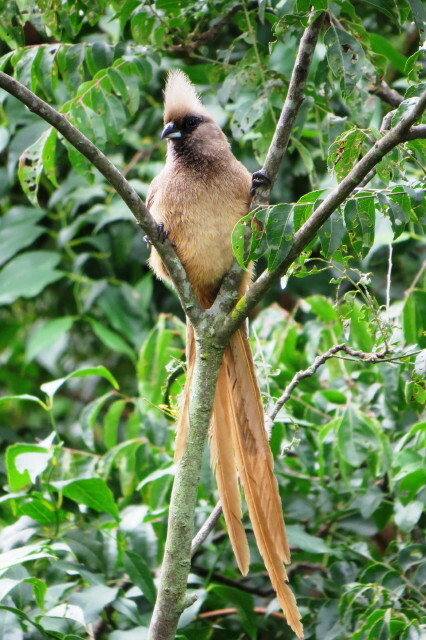 And I won’t mind whether I end up seeing rare and striking birds or what the snobby birders apparently call “trash birds”, common garden varieties that don’t excite the pros, like pigeons, mynahs or hadedas. I will think of Sonto Tembe and sometimes I will do my birding with my eyes closed, so I can hear the birds’ calls and songs. I won’t try to imitate them like he does. I’ll just let the sights and sounds wash over me, and hope that it helps me relax. Into my old age. “The flowers appear on the earth: the time of the singing of the birds is come, and the voice of the turtle is heard in our land”. Such beautiful sights and sounds have been with us since the days of Solomon- right out there in our own garden. Happy memories – I long to go back to Ndumo already!